Now who wants Google’s Nexus 7 tablet? Although a 7-inch iPad will almost certainly cost more than $199, Apple’s superior iOS mobile operating system, massive app + peripheral ecosystem and unrivaled customer satisfied make price almost irrelevant. Still, there are plenty of questions unanswered about this potential Apple master stroke. Bloomberg is reporting big fireworks as we roll into America’s Independence Day celebration. Quoting “two people with knowledge,” the business new service says that Apple will ship a 7-inch iPad this Fall, most likely in October before the start of the Christmas shopping season. 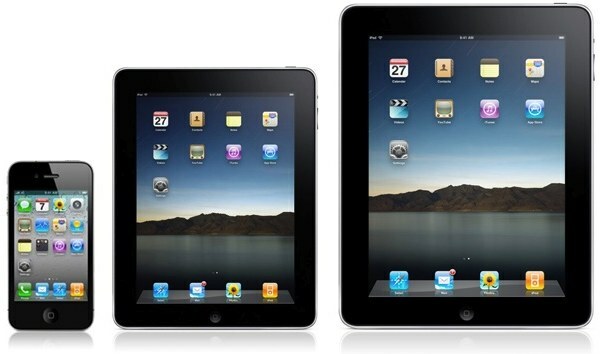 Rumors of a 7-inch Apple tablet have circulated since 2010. Bloomberg and its informants don’t offer guidance on pricing, though it will almost certainly cost more than $199 — where Google and Amazon have staked their claim to the small form factor tablet market. That said, the iPad 2 is currently tagged at $399, so the obvious price point for a 7-inch iPad is $299. Whatever momentum Amazon’s Kindle had is gone in a vapory mist. Google’s Nexus 7? It’s now at best just an after thought that will only be remembered if Apple doesn’t ship a 7-inch iPad come October. Ready to buy a 7-inch iPad?